Well they again have arrived. 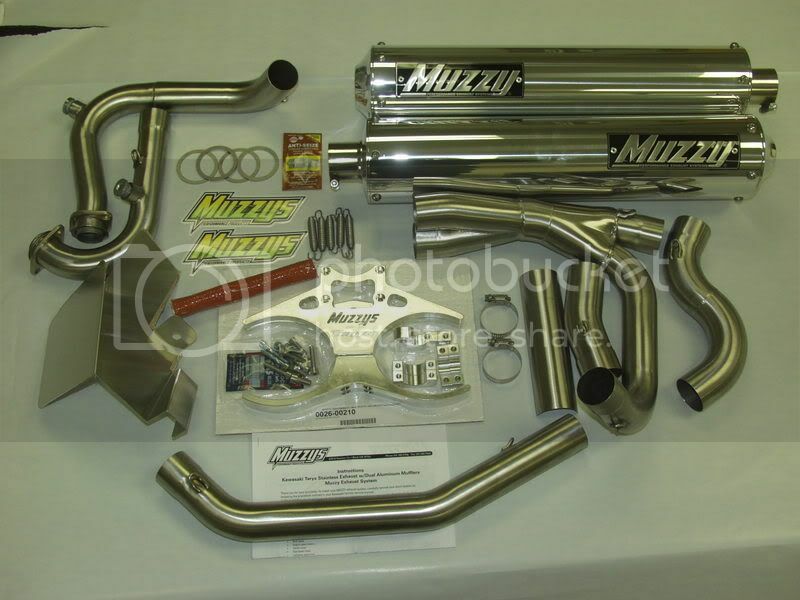 Here's the list of the systems I carry in stock and a picture to see the kit's exact contents. DUE TO THE MASSIVE VARIATION IN SHIPPING COSTS THESE DAYS ALL PRICES LISTED DO NOT INCLUDE SHIPPING. 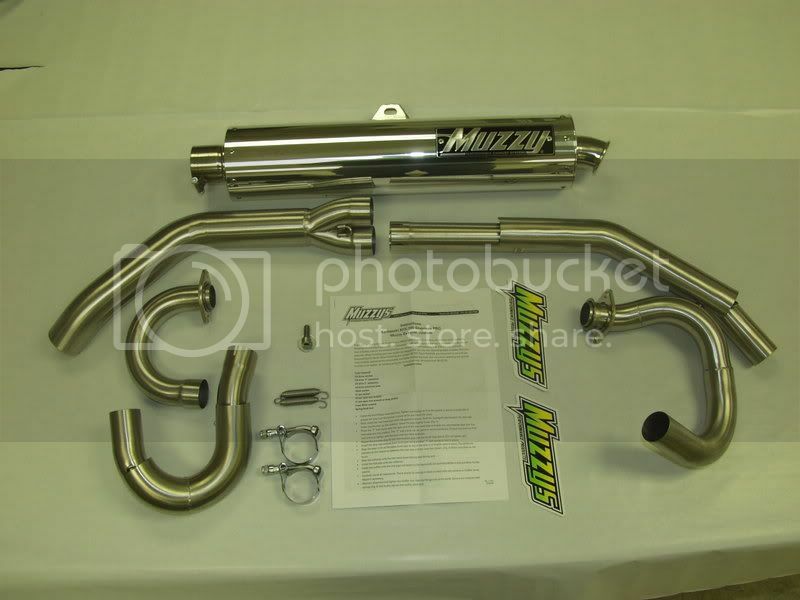 2004-2009 VFORCE PRO EXHAUST SYSTEM Aluminum PRO canister. They come with the quiet core and spark screen. 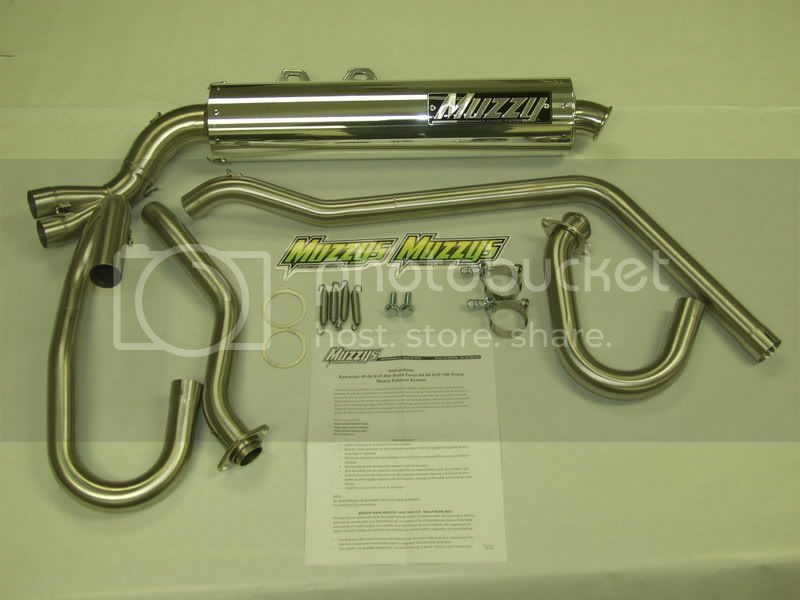 THESE REQUIRE LARGER EXHAUST GASKETS. I stock them as well. 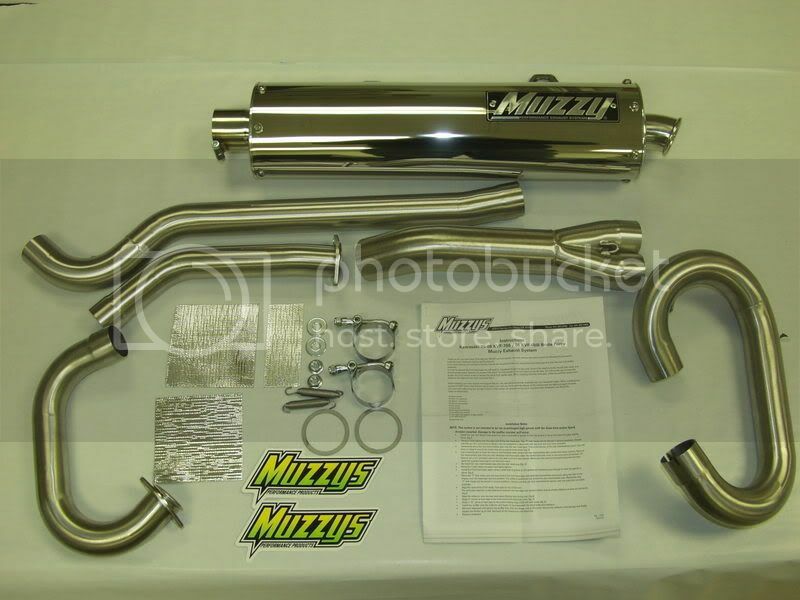 Any questions on Muzzy exhaust systems Please semd me a Private Message.